From the business aspect of your operations, effective farm record keeping is needed to improve your farming decisions. Granular’s Farm Record Keeping Software merges all financial, operations, input, and crop data so that can track your historical data. 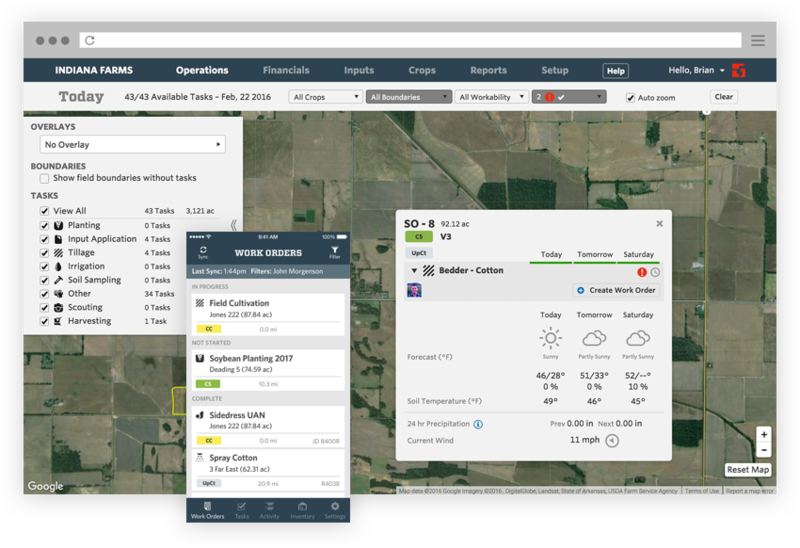 Review your crop yields, manage your inventory, including crop balance and transfers, and store your contracts in one place. Plan and record daily operations on the farm. Granular gives users the ability to set farm plans, manage, tasks, and record it all. All work is saved within the granular platform and changes can be made in real-time. Understand the costs that go into your farm and the crops that drive profitability. Track your profits by specific crop, boundary, and production cycle. Your costs can be broken down by specific seeds, chemicals, and fertilizers. Easily manage your farm budgeting, as Granular tracks your receipts, invoices, and will even help you come tax season. Share your production history with landlords, customers and other parties. See how Granular’s Farm Management Software can store all your farm records in one place.